It’s been a couple of weeks since we launched Justinmind 6.0. You may have noticed that this new version includes some of the most important updates so far. In addition to a complete brand redesign, you’ll find new features and functionalities to test your prototypes and bring them to life. You can now download the Justinmind App for iOS and Android, so next time you prototype an app you will be able to experience your design live from an iPhone, iPad, or Android mobile or tablet. On top of that, the Justinmind app is built to work offline. This means you will be able to enjoy and share your prototypes no matter the place and time, and impress! 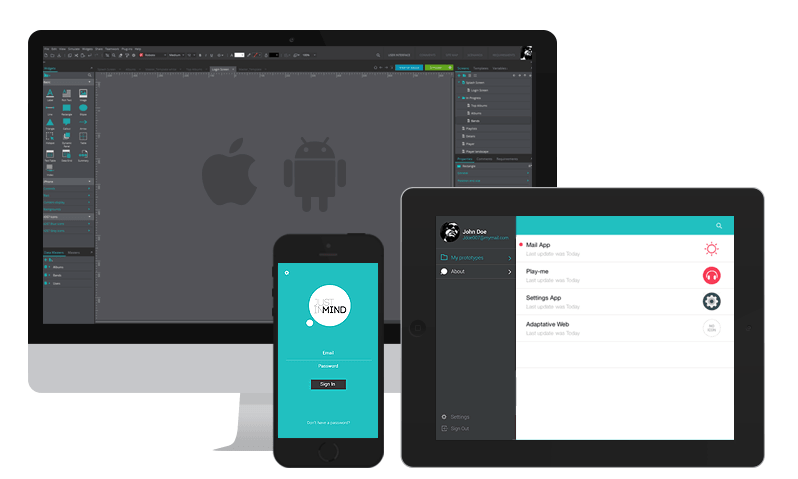 Now you can make custom protoypes that fit any IOS or Android device. This means you’ll be able to test, show and evaluate the complete user experience from the device of your choice and as if it were the real thing. Navigate through your prototype and experience it on a real device. Use our mobile app to experience your prototype live from any iPhone, iPad or Android device. It will look, work and feel just like the real thing. 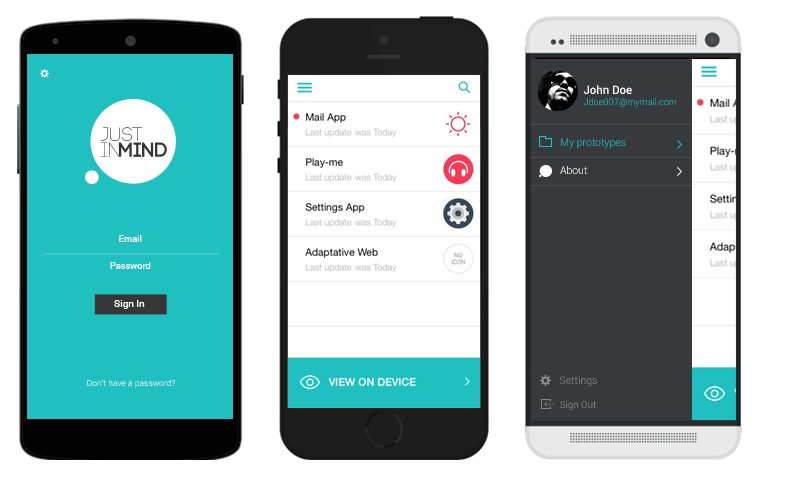 The Justinmind app will allow you to access your prototypes offline. You will be able to show your prototypes anytime, anywhere without having to worry about the quality or the availability of an internet connection.